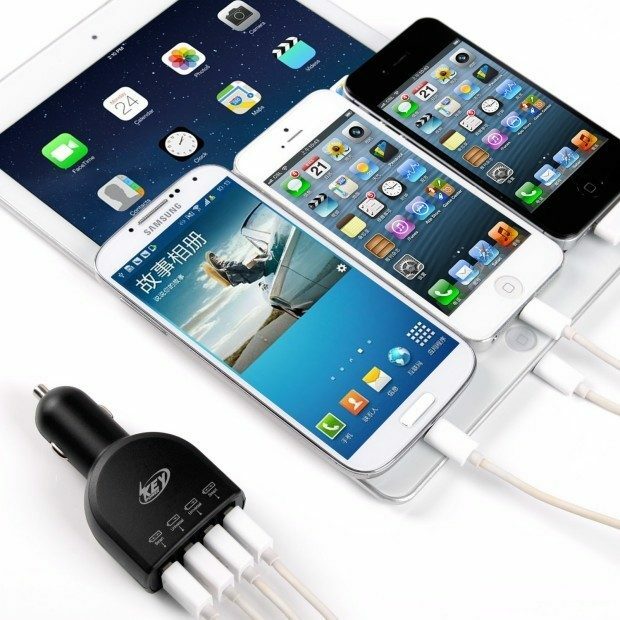 Rapid 4-Port USB Car Charger With Smart Active Technology just $11.99! Down from $25! You are here: Home / Great Deals / Amazon Deals / Rapid 4-Port USB Car Charger With Smart Active Technology just $11.99! Down from $25! 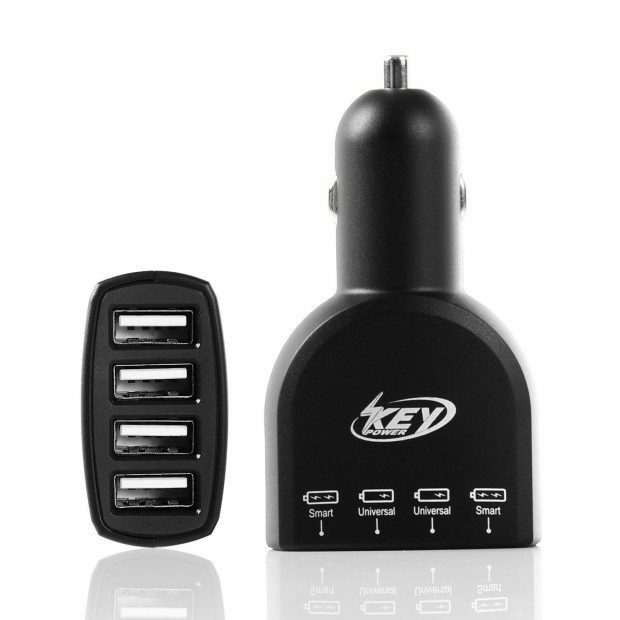 You can get this Key Power® Rapid 4-Port USB Car Charger with Smart Active Technology just $11.99! Down from $25! For iPhone, iPad, Samsung Galaxy S6 / S6 Edge, Nexus, HTC M9, Motorola, Nokia and More! Well, I think this is gonna solve that problem! You can charge 4 things at once with this charger and it’s a great deal right now! Smart Active Technology intelligently detects input current of the connected devices to maximize 2.4 amps per port or 6 amps overall. An industry-leading output of 34 watts through two ports lets you charge two tablets, smartphones or other devices simultaneously and at full speed while on the road. Cutting Edge Charging Car Charger will provide faster charge and 12 months warranty. Premium construction and circuitry with CE, FCC & RoHS certification protect you and your device. DC 12 / 24 volt input compatible with all standard cigarette-lighter sockets.